Think about categories of sewing machines like construction tools! They serve different purposes. Although you can do most sewing with any sewing machine model, some of them are best suit for certain purposes. Read below the differences before you find yourself trying to hammer a nail with a paintbrush… Or better, using an embroidery machine to do side seams! The Janome is a great investment as it offers low-cost foot options that are very handy if you want to diversify your sewing projects. You’ll be able to enjoy the same features as most expensive sewing machines ones. The Brother XL-3750 is lightweight and full of accessories such as quilting table, 7 accessory presser feet, cloth carrying case, and user’s manual; integrated handle for transport, not to mention the automatic features that comes in handy when learning how to sew. Great for stretchy fabrics, the Brother LS2125 can also cope with heavy weight fabrics; this comes in hand with sewing jeans and home ware. All with an easy to follow guide. Recommended for those who want to make their own clothes and/or have limited budget but don’t want to miss the durability, mechanical sewing machines can be just what you’re looking for. Brother created a reliable mechanical model, packed with the same features of computerized machines, because of its automatic features, the new dressmakers can start stress free from problems such as buttonhole and needle threader. Sergers are very versatile machines, you can sew; apply finishings and embellishments with the same machine. Apart from the unanimity of sewers complaining about how hard it is to thread a Serger, it disappears with practicing so for any model, the threading is the most difficult skill to grasp, but here goes a tip so you don’t have to be upset if you get for hours trying to do so. If you need to change the thread of your machine, just cut close to the spool thread and change the thread roll, give it tight knot and pull the old thread so you’ll see the new one coming in through the right places! Stop at the needle hole, cut the knot and finish passing the thread through the needle. Done! Sergers offers 2/3 or 4 threads options, depending on the kind of fabric you’re using, you just need to abandon one of the threads, but remember that must be always the far right first. Mainly feature will cover the finishing of seam allowances (the fraying edge of your fabric) and decorating a bit, this machine will do the job. With thread guide, this model already got a point! 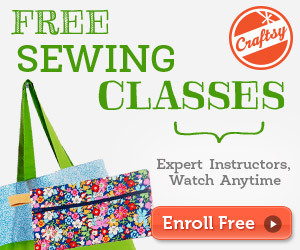 Easy to follow thread guide can facilitate new sewing learners. The features include: can sew a variety of fabric types, create ruffles and join laces. 22 built in stitch can help if you’re sewing bridal ware for more options and reinforcement of stitches for home ware. When talking about professional stitches, having a differential fabric feed on your machine, you can make sure you’ll have even stitches in any fabric weight. Also comes with video instructions for better guidance. You will only need a basic 2/3 thread Serger like this one. This one is the “value for money” category. The Singer 14SH754 offers great value for your money. Quite speedy, it forms 1,300 stitches per minute. Colour coded threading path and easy tension adjustment. Some sewers claim it is hard for find needles for it, but others said the helpline can offer them. You can adjust stitch width (3.0 to 6.7 mm) and stitch length (2.0 to 4.0 mm), this is a feature that helps you with different fabric types. A little heavier than mechanical machines due to the electronic motors, the computer control serve very well embroidery lovers and those who’s thinking of business like purposes. A tempting sewing machine any sewer wants, why? It offers 70 built-In stitches, 6 Fully Automatic (1-step Buttonholes, automatic needle threader, top drop-in bobbin, automatic tension, push button stitch selection and others. With so many ‘automatic’ words it can only mean that you can enjoy the sewing and don’t waste your time on troubleshooting! Best beginners buy, mainly if your budget isn’t so big. Main features will offer you the quick adjust stitches length and width through the LCD display. If coordination isn’t your thing, the stop/start button allows you to use the machine without the need of foot control. For first timers, the jam resistant and quick set top drop in bobbin makes your machine is bobbin problem free! You country will need to support 120V AC even if you have a voltage adapter. This model was created to serve those in love with stitches option! It offers a total of 100 stitch functions, 60 built in utility, 7 styles of one-step, auto-size buttonholes. It also was blessed with more accessories than standard ones, so is like having extra gifts! This machine offers start/stop/reverse operations, that’s handy when you have to think about all the commands you’ve to do when sewing. *If you have an electronic, computerized or embroidery machine, use a good quality surge protector to protect your machine. Embroidery sewing machines have endless design options; you’ll never get tired of it! You’ll be looking for fully electronic model. Look out for the embroidery patterns that come with, the more the merrier! 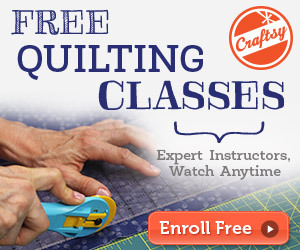 Suitable for embroidery, sewing and quilting, it offers it all! The LCD display screen is very easy to understand as well as the DVD tutorial including step by step how to use your machine. Business entrepreneurs should consider this machine that promises to deliver high quality embroideries. Singer Futura comes with 125 built in embroidery designs; you can also create and edit designs on your PC using the software that comes inclusive. Best reviews on the designs, quite unique and the flexibility of changing makes this machine a one of a kind. The only drawback is that Singer only manufactured this machine for US and Canada only! So unless you have an ‘adapter’ do not attempt to use it!